Yuji Naka is a legend in the world of game design. He has worked on notable series such as Sonic the Hedgehog, NiGHTS into Dreams and Phantasy Online for nearly 30 years. 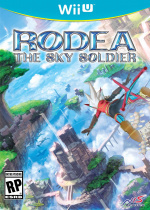 His newest creation, Rodea the Sky Soldier, has been stuck in development limbo for over five years, but the time has finally come for it to see the light of day. Naka has already expressed that he would like to work on a sequel to Sky Soldier, but does the flying action title deserve such an honour? Sky Soldier is first and foremost a Yuji Naka game. It looks, sounds and plays like many of his previous forays into the realm of 3D platforming. This is both a gift and curse, as it shares their charms but also their aggravating gameplay flaws. If you've ever played Sonic Adventure for the GameCube or NiGHTS Journey of Dreams for the Wii, then you'll have a good idea what to expect from Sky Soldier. With the titular character, Rodea, knocked unconscious for a staggering 1,000 years at the beginning of the game, players have to stitch together his sordid past as his memories return and the story progresses. Why was he built? Why does he have a human heart? What happened to all he knew and loved in the last millennium? It's a decently compelling story that keeps players guessing, as Rodea encounters those from his past who seem to know more about him than even he does. In classic Naka style it's a bit too corny and over the top, though that's just the kind of charm you would expect from a title like Sky Soldier. If there's one issue that holds the story back it's that one of the two main characters is unfathomably annoying. That would be Ion, the robo-mechanic who fixes up Rodea after his 1,000 year dirt nap. She will yammer on throughout almost every single stage, adding such important dialogue as, "Fwooosh!" and "Go get'em!" over and over. Her shrill screams of elation and terror are comical at first, but players will soon find themselves reaching for the volume control of their TV remotes. Luckily this small issue can be remedied by turning down Ion's "chattiness" in the game's sound options. When it comes to controls Sky Soldier is one wild ride. It's not that the controls are necessarily terrible, it's just that they are very precise and a bit difficult to master. Rodea can hop into the air with the simple press of button, though to get him truly flying players will need to use his trajectory cursor to find a nearby target. Apparently sky soldiers can only fly towards solid objects (who knew? ), as pointing your trajectory cursor towards the heavens or any blank horizon won't have any effect. Once you've locked on to a target Rodea will sail off towards it at slow cruise. In the beginning his speed can seem a bit too sluggish, as players will have plenty of time to take in the floating world of Garuda. This issue can most likely be attributed to the fact that the game wants to give players plenty of time to get used to the flying mechanics. Players can switch their direction and target at any time, but Rodea can only fly so far before running out of steam. It will certainly take a bit of practice before players will be able to sail through an entire stage without error, and even then it's easy to lock onto the wrong target or section of land. Aside from flying, Rodea can also attack foes using a spinning charge attack very similar to a certain blue hedgehog. This can be performed on baddies both on land and in the sky, though it works much better mid-flight. Instead of simply blowing enemies to bits, Rodea will always bounce away in a dramatic fashion. This can cause some unintentional problems, as it's very easy for players to lose their spatial bearings as they rebound away. Ion will also outfit Rodea with different sub-weapons as the game moves forward, the first one being a machine gun; such a serious weapon seems out of place in such a goofy fantasy setting. Rodea is a solider after all, but it has the same feeling as Sonic team giving Shadow a gun. Which totally happened, and was certainly a bizarre move. Odd weapon choices aside, the machine gun and other sub-weapons work much better on land-bound enemies than Rodea's normal charge attack. One of the best aspects of Sky Soldier's combat is the fact that players can actually upgrade Rodea's abilities and weapons as they conquer more stages. Soon players will find Rodea flying with a bit more speed and purpose, which meshes nicely with the fact that players will likely (hopefully) have a better grasp of the game's flight and combat controls by that point. 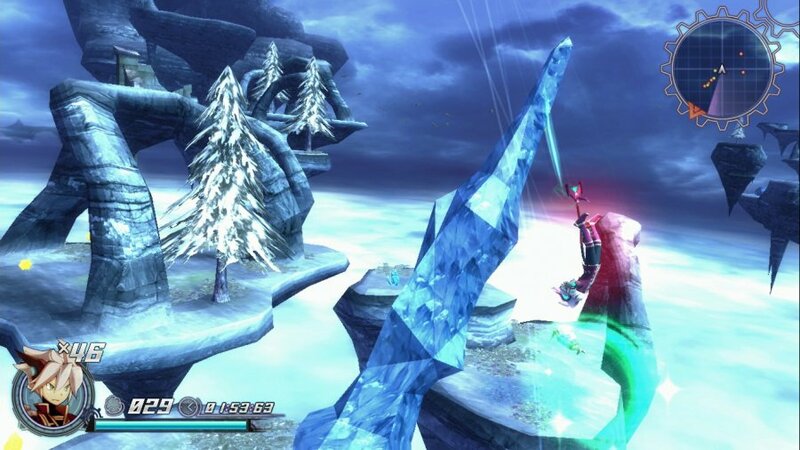 Though the stages involved are nice and open for Rodea's flying pleasure, they almost feel a bit too empty at times, with sparse enemies and large expanses of sky between platforms. This is to be expected as the component of flying is obviously key to the game, but the creators certainly could have beefed up the levels with some more challenges and obstacles that truly tested Rodea's abilities further. 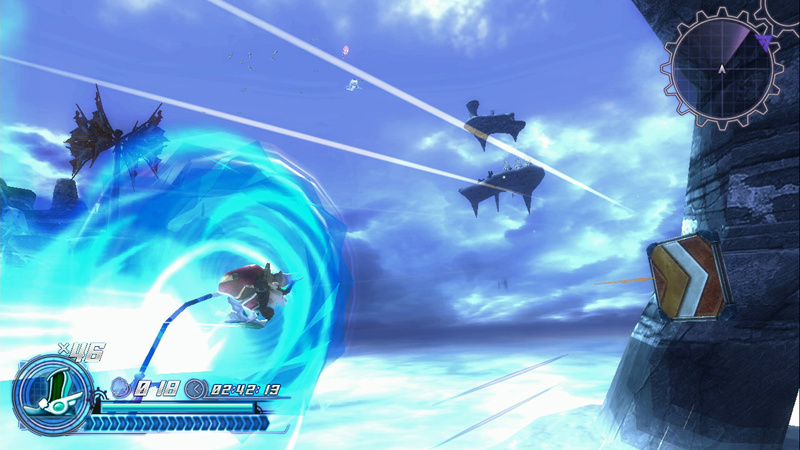 Players can interact with special star chains as they fly, and if they connect Rodea with the first star they'll be whisked through the line at sonic speed. The issue here is that the lines usually end at the edge of a floating land masses, dropping unsuspecting players into a freefall. Only after adapting to the quick start and stop of the star chains will most truly begin to enjoy linking them all together for a fast pass through the stages. The weakest aspect of Sky Soldier, by a wide margin, is it's rage-inducing camera. It's an issue so amazingly essential to gameplay, and so poorly done, that it will certainly have some swearing under their breath. Since Rodea's sky battling and main form of movement all center around targeting new opponents and objects, a wonky camera can be very troublesome. 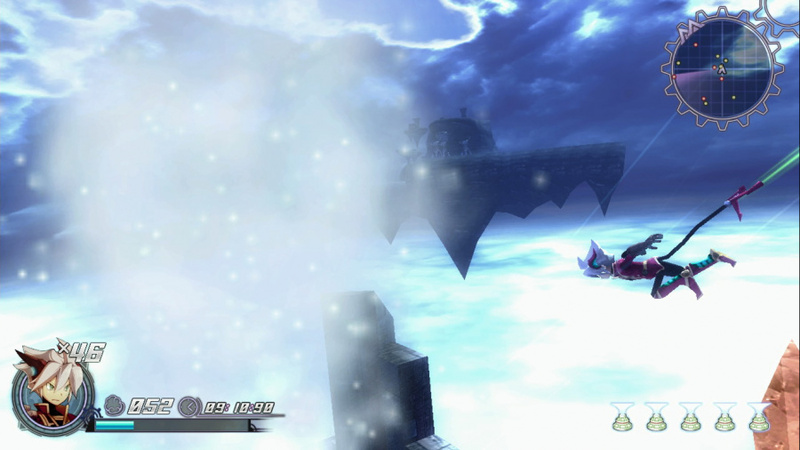 If players try to find a solid point to lock onto they may have issues, especially during some of the game's larger battles where the range of flight is enhanced. It's easy for the camera to get stuck behind walls and enemies as they fly into view, putting us (and Rodea) at a huge disadvantage. This doesn't always happen, but it happens enough to make the game feel a bit too off kilter on a regular basis. With two dozen chapters, decently long stages, as well as plenty to collect and unlock, Sky Soldier is just about as lengthy as one would hope. Each stage ends with a dazzling display of various letter ratings that are linked to players' chains, star collection, completion time and more; this adds some extra challenge for those who want to truly master the game. Those who simply want to complete the main campaign may not find as much meat, but there is much to explore if you're up for a little sky sleuthing. Rodea the Sky Soldier is an interesting game. When it comes to unique gameplay and classic Yuji Naka charm the title truly soars. Unfortunately it also suffers from frustrating camera problems, a steep learning curve and some frequently aggravating combat. Players planning to taking to the skies with Rodea will likely enjoy most of their journey, but they are in for a bumpy ride. Too many other games beg for my money over this. Maybe way down the road with a decent sale. I saw the gameplay on your channel. I'm glad I'm skipping this. I'll be skipping this game for now. XCX will demand all of my gaming time, and I don't want to be distracted or grow my already-huge backlog. I've already got my copy at home waiting to be played but I did expect it to be a good but flawed game. Are the controls and camera problems present in the Wii version? I have a feeling that if I don't pick this up now i won't get another chance. It's sort of been released at the wrong time. And In any case the Wii version may not be included further down the line and that sort of sweetens the deal. "If you've ever played Sonic Adventure for the GameCube or NiGHTS Journey of Dreams for the Wii, then you'll have a good idea what to expect from Sky Soldier." @arronishere I can only imagine they are. I only had the Wii U title at my disposal though. I know the Wii version features a point and shoot mechanic with the wiimote, and I'm not sure if that would be better or worse. Hearing good things about the Wii version. Might keep that and sell the WiiU version separately. I'll play both and see I guess. Yeah probably worth a wait for me, unless it can be got at a bargain price early on I don't think I'll fit it in (it is Fallout release today after all). Still got Project Zero waiting to be played and that was my recent gamble, and I don't think I can make myself master another dodgy camera game (I hate that we still get these issues, this was a problem I thought would eventually be solved... I've been waiting since the n64 days). I won't be buying this full price that's for sure. Can't wait to play the Wii version. I think the Wiimote is based on preference, but the game was designed around the Wii, and it's the only version that Naka personally worked on. He had nothing to do with the Wii U and 3DS ports. I'd be willing to bet the camera and controls are much better in the Wii version, as well as the game as a whole. If that's the case, then it sounds like it will be a very fun game. @Pokefanmum82 apparently the Wii U version is a direct port of the 3DS version. It probably has the same issues. Not a shocking news, everything since the begin pointed out that this game was gonna be far from perfect, but I'm very willing to give it a try, I have the feeling it will be a super fun ride, even if extremly bumpy. Was hoping that there'd be a review of the Wii version as that seems the main selling point. Since this game is out on the Wii and 3DS also, can we get reviews on those versions too? Also, I think you guys are being hard here. How can you say that the learning curve in Kid Icarus Uprising is better than this game? Surely the other versions can justify this review and give players a good reason why to get it. Mines already on its way to me now so I guess I'll give it a go. Is there going to be separate review for the Wii version? I'm glad I cancelled my pre-order now. I'll wait for sale. Got my copy of the LE a day early. Anyone whose even semi interested in this series, should just get the Wii version that version while isn't perfect is truly the better one. I played the wii u for two chapters and hated it to death. The wii as the same game yet different controls and different art. Was 100 times better. It's odd how a single control scheme can make or break a game. @arronishere But that game gets a nine and this one doesn't when both games have steep learning curves. What about the Wii version? The Wii version is the one that was designed from the start. This game was meant to have motion controls. I got the LE from NIS Store Online and it arrived yesterday. Looks fantastic but nobody is reviewing the Wii version! We already know the Wii U/3DS versions have analog controls which doesn't translate too well, but what about the Wii version? With my PS4 and XCX just around the corner, I am not getting this. Hmm I did love Sonic Adventure 2 Battle so if this is more of the same then I might play the wii version instead as that seems better. @Artwark Different reviewers = different opinions. My initial impressions after trying it out last night were pretty much the same: gorgeous visuals and environments, fantastic music, but the controls hurt the gameplay a bit. @Artwark You haven't played the game nor even own a Wii U...how do know what the game is like to complain about the review's score being undeserving? They've also mentioned other problems with the game such as the camera, annoying characters etc and tbh it sounds on par with Yuji Naka's other recent games. Yeah, I'll pick this up when and if the price drops to $20. @Artwark Kid Ic flew for you. Players just had to point and shoot during the flying parts of the game. This was much harder to pick up. Plus, I still need to pick up Splatoon! Not buying this after they dropped motion controls. The gameplay seemed to become slow and clunky after that. When will we get the review for the Wii version (you know, the version he actually worked on)? I'm excited for the Wii version. Oddly enough, that seems to have the most content out of all the three, so it'd be interesting to have a review of that coming. I'll get this after I clean out the (3)DS titles on sale at a local game store. I'm not even going to play the Wii U version, I just bought that one for the extra Wii disc. Will we get 3DS version review? 6 sounds good enough for me, I had a lot of fun of some games that scored 6-7 here. All reviews have said the Wii version is vastly superior in terms of control and gameplay. Even visually it is better artistically. Any game that goes through this kind of development hell will have its bumps. Glad to get it, though. How does the 3DS version compare? I'll pass. I still haven't gotten Woolly World, Pikmin 3, Project Zero 5 and Splatoon (which I'm not sure about) and Xenoblade is coming soon. With all these (plus 3DS and steam games) I don't have time for Rodea. PLEASE REVIEW THE WII VERSION, buy it with budget money!!! Another just 'not bad'. Maybe 'not good' either. It is value for money, I guess not. That is the risk we take if we download it. At least a physical copy would have some sort of trade in value. The Wii version is much better. Not only because of controls, but the overall game is just well crafted compared to this. It actually has backgrounds, good framerate, it looks beautiful and the camera seems much better, level design and overall gameplay is just much more fluid. Wasn't the WiiU version just a port of the 3DS version while the Wii one was the original creation of the game? I've got this game coming looking forward too checking it out and also supporting the game. @Pie7 But is there anyway to get the Wii version without having to get the Wii U version also? I ordered my copy of this game right after perorders and I'm afraid I'm not gonna get the Wii version which is What I want. I'll just sell the Wii U version. Getting at least 90% of my money back. This is what I expected. I'm still interested in it, but I'm waiting for the 3DS version so I can compare to see which one I'll want. Got the WiiU version (with Wii version in it) for $40 at gamestop today! Think the associate messed up! Will be picking up on Friday! I got my hands on both the Wii U and Wii versions this weekend. I actually prefer the Wii U controls, though I hardly mastered them and it's still early. The Wii controls involve moving rodea through the sky by pointing and clicking with the Wiimote . . . it did not feel as intuitive as it sounds. I do look forward to spending more QT with this title. Between Fallout and Xenoblade, I won't have the time or money to pick this up. Maybe in a couple of months. I might get in a few months. When you look at this game, do NOT judge it based on the Wii U/3DS version. When you bring this home, PLAY THE ORIGINAL WII VERSION THAT COMES WITH IT. It is what Rodea: The Sky Soldier is meant to be. The game costs $74.99 [Canadian dollars] that is outrageous for just a video game for the Wii U. I will likely pass this game. Would anyone on NL be willing to review the Wii version separately? I know it's a weird request, but if that version was the way the game was meant to be, be it better or worse, I think it would probably play better. Oh god, those graphics. I know this was a Wii game, but still, dear lord, that's nearly unacceptable in in 2015. I guess this is one of the games where we should wait for an update before buying it? At first I totally ignored it, because I thought "Meh, another one of this strange japanese RPGs", but just a few months ago I actually found out what it is supposed to be and it looked/sounded interesting. Now I think an update for the camera is necessary for me to maybe buy it someday (not at full price though). And then I read in the comments that there also is a WIi version that is controlled with the Wiimote? Does this mean you can't use the Wiimote in the Wii U version? That would be really lame! Also, is there really only a point-and-click option in the Wii version? No option to control Rodea by tilting the Wiimote? That would be disappointing! And maybe Kadokawa Games should reconsider their marketing in the west. Not that this has any importance for playing the game, but it could influence some people who are thinking about getting it: The title character's name. I always assumed Rodea would be a female character, because (at least in western and middle-eastern languages) a name ending with -a is always female. @DarkCoolEdge: I hope you don't mind me asking this, but what have you been playing all the time (Yes, I also have Steam and play PC games ^^)? From those that you mentioned, I can definitely recommend Splatoon, Yoshi's Wooly World and Pikmin 3. Splatoon became my favourite game and my personal game of the year. It's so addictive! The basic mechanics alone are just tons of fun, the single player campaign is also a pleasant surprise. But of course, I enjoyed playing online the most. Especially the ranked battles since they offer so much tactical depth! Also, there are so many different weapon sets, in combination with all the different outfit items it offers huge variety regarding your playing style. So it's accessible to new players and tactically demanding at the same time. I hadn't played any Yoshi game before, but - apart from the great visuals - WW has some really nice ideas. Still haven't played it that much though (Splatoon is to blame). And I also never had played Pikmin before and still have to finish the campaign, but that game is really unique and lots of fun. I got it for about 20 Euros back then when everybody was selling their free eshop keys that came with MK8. But of course, XCX will probably also be awesome and time-consuming. Not quite as good as the sores Famitsu gave but I'm still looking forward to getting this, even if it is a bit of a bumpy road. Some of my favourite games are like that. I can overlook a bad camera for a game with a unique world and an excellent main character. "If you've ever played Sonic Adventure for the GameCube, then you'll have a good idea what to expect from Sky Soldier." The trailers haven't really done this game any favors. It does look like it would get very frustrating with the camera angles changing so fast and looking like they actually don't keep up with gameplay. I'm going to pass on this. My poor Wii-U. The only retail game I buy this year for it is Xenoblade. So besides a few Point and click type IndieGames in the Eshop. My Wii-U is neglected. 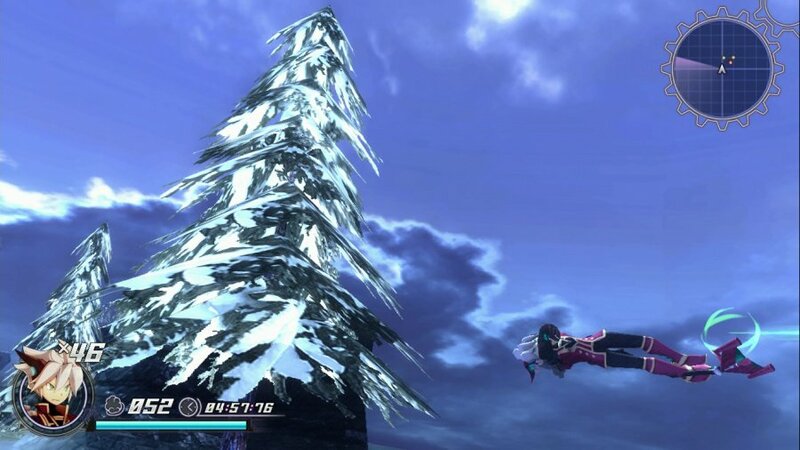 Xenoblade is certainly going to change that for a while anyway. I wish they had got Atlus on board in the beginning on Wii-U, perhaps the world would be looking at the Wii-U in a different light. Seriously if you look at the system which thrives in the console war it's usually the one who wins the RPG wars which sits on top in the end. I hope NX goes in that direction. They can still release the Marios and the Yoshis and make big bucks off those games too but maybe start focusing on the Zeldas and other RPG franchises. Just done with the first five levels on the Wii version. Haven't tried the WiiU version yet because the Wii one is the game I've been waiting YEARS to play. It's GREAT! Funny, too. Very fun. A LOT like a sonic (including sonic adventure 1 with the guided booster sections) nights in to dreams hybrid. The Wii version is super good. @Spacey I don't believe so, unless someone sells it to you. (It's a disc only, not a separate case) but you should be able to get the game even if pre orders ran out because all First Print copies come with the wii version of the game. 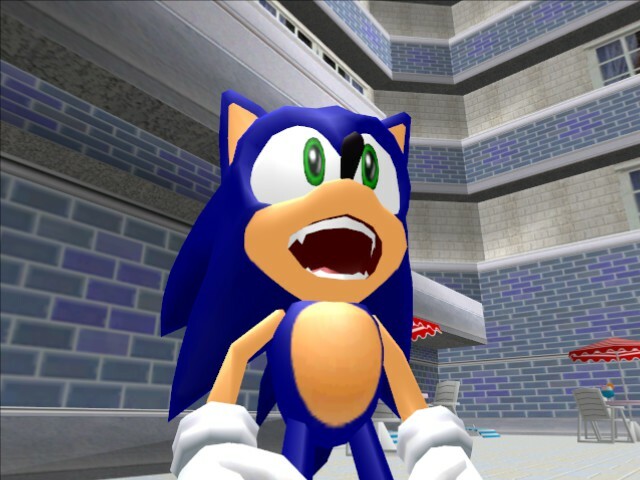 I thought you might've been exaggerating how bad the camera is like people tend to do with the "Sonic Adventure" games, so I took a look at your gameplay video on Youtube, and yep, that is a very wonky camera. I'll pass, at least on the Wii U version. Not really interested in this one and Xenoblade Chronicles X is coming soon. It will be interesting to see how the 3DS and Wii versions stack up. I have a feeling they'll review better. I'm just glad that games like this are still being made and released physically, hurrah for the middle-tier game! @davidevoid The 3DS and Wii U version are one and the same, so only the Wii version will be better. Everything mentioned here was well within my expectations. A deep, though somewhat over the top storyline filled with charm, 3D platforming of a style similar to Yuji Naka's previous games, and hard to master flying system. All fits within what I've been hearing about the game; and all of it makes me look forward to the game. Well, an easier flying system and a less aggravating camera angle would have been nice, but from what I've heard of they flying system, it pays off once you've mastered it. As for the camera angle, that's pretty much a given really, it's a gripe I'm able to overlook if the rest of the game pleases me. Like many people, I'd love to see a review of the Wii version at some point, although my primary focus will be on the Wii U version for now, if simply so I can make Miiverse posts about my experience. It's only gotten a 6 out of 10, but from what I've gathered, I think it will be quite a bit higher in my own personal regard. A great review though, it covered a lot of the topics and highlighted the aspects that drew me towards pre-ordering this game. After 2 hours in with the Wii version, I love it. Definitely gives me the same kind of rush as the action sequences of Sonic Adventure. The camera could use some tweaking, but that was more of a minor annoyance than a game-breaking issue. I really wish more people were able to play the Wii version. It's a fast, action game, and the gamepad controls are just, meh. It would have been better to play the game using the touchscreen and tap on targets then have to move a radical with an analog stick. My recommendation? Pick up the retail copy and give the Wii version a spin. I have a feeling this is going to end up a very expensive game given some time. @ULTRA-64 I will check with the head honcho and get back to you on that. My gut feeling is that we won't. Wow, quite the presumptions post from Shani up there. Actually, Rodea's name is significant, and explained in the story. Sorry to burst your bubble. This site reviews the absolute lowest quality garbage on Wiiware / eShop but it probably won't review the last good Wii game? That's weird. Is there no option to use motion controls a la Wiimote in the Wii u version? I have put some time into this game and there is no contest, the Wii version is the "Real" version of the game. I love it and it really does feel like an evolution of both Nights into Dreams and to an extent, what parts of 3D Sonic should have been. I can certainly see why Yuji Naka is urging people to play the Wii version as it is his actual vision. The Wii U version (and the 3DS version it was upscaled from) was apparently not handled by him and boy does it show. As this review illustrates, the Wii U version is clunky, rather ugly, and the control is downright broken due to the game being designed around the Wii Remote and pointer controls (which the Wii U version doesn't support despite having a control option that supports the Nunchuk/WiiMote combo?... and yes, that is as frustratingly stupid as it sounds). Despite the obvious hardware upgrade, the Wii version is actually better in EVERY category. It looks better (its colors are vibrant and beautiful and almost looks like a completely different game), the controls are worlds better and quite fun, and the game actually runs much smoother than the Wii U version which is bogged by framerate issues. Put simply, if you're interested in this game at all, make sure to get the first print run copy that includes the Wii version and play that version (the REAL version) first and then give the Wii U version a try to see how they messed up Yuji Naka's great game. As for the graphic snobs out there, the Wii version still looks quite nice on an HD TV due to its vastly superior color and simple graphics so please don't snub the game because its not in proper HD. Another cool feature left out of the Wii U version is multiplayer. The Wii version supports up to 4 players! If I were to score the Wii version vs. the Wii U version using this review score as a base, I would personally give the Wii version an 8 while saying that NintendoLife's score of a 6 for the Wii U version is spot on. @TreonsRealm Thanks for the information. It's due out here in a couple of days so I've pre-ordered it hoping I'll get the Wii disc included, wish I'd decided sooner. This game was meant to be play on the Wii, just ignore the Wii U version and play that one instead. So far the game doesn't score very well, though that may also be a bit because its outdated (it is, since it should have been out yeeeeeaaarrs ago). As some people stated the Wii version looks better graphics-wise, more colorful. But the game itself just looks weird. Instead of the promised free-flying, its just you bouncing around. I think I'll pass, this doesn't look very good! @TreonsRealm : Cheers for the review. The Wii version actually sounds pretty darn neat. It's inexcusable that the developers didn't just port the Wii version to Wii U and implement conventional controls as an option, rather than forcing it upon the player. And how can a system as underpowered as the Wii support 4-player multiplayer while the Wii U version doesn't? The mind boggles. I hope that NL will provide their own review of the Wii version soon. I think this would work WAY better as an anime. I might have missed it, but does anyone know if you can play the Wii U version in off-TV mode? My TV is dying and flickers badly. I'm really interested in this game because the graphics reminds me a lot of Skies of Arcadia, and I love that Saturn/Dreamcast era style of gritty 3D. 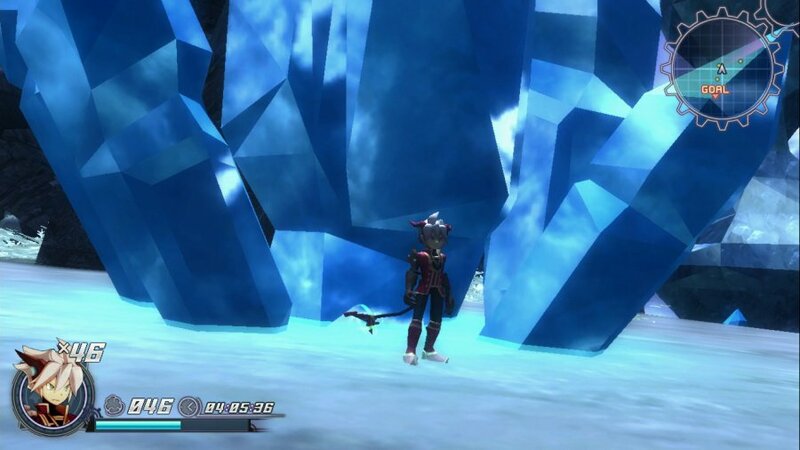 I'm getting used to bad camera work from playing Tales of Zesteria on (shhhh) PS3. That game is very playable and I haven't ever lost a battle yet from the camera work, but sometimes in the middle of a fight (where you can have 9 characters fighting) I can't see where I'm going or who I'm whacking! But still a Tales game and still cool. Tales of the Abyss on the 3DS is probably the best and I wish they'd bring more Tales to 3DS! @TreonsRealm Excellent post, and I completely agree I started off playing the Wii U version and even started enjoying it after getting used to the controls, but after the first 4 stages I decided to try the original Wii version....wow! It's almost like playing a different game. None of the nonsense with having to collect hundreds of scrap parts to power up your abilities, the bonus rooms are a lot more fun (rather than just 'pick a ring') and the levels just seem better designed in general with a few tricks and traps that don't appear in the Wii U version at all it seems. Seriously, anybody who's interested in this should be basing their opinion on how the Wii version is, not the Wii U port and hopefully Nintendolife will give it a proper review soon. @shani Sure, no problem. I've beaten Batman Arkham City GOTY edition, Arkham Origins and its cold, cold heart dlc, The Lord of the Rings: War in the North (not very good), Darksiders (I really liked it, it truly is a Zelda-like adventure), W40,000: Space Marine (simple but fun), LA Noire (not perfect but very enjoyable), Gauntlet (fun in multi) and I believe that's all. @DarkCoolEdge: Interesting. I got the Batman games but still have to really play them. I played some chapters of Darksiders back then on Steam and started it on Wii U. Didn't like LA Noire so much (although the basic detective idea was good), but I liked Gauntlet back in the days on N64. Since the Wii version is only being included in the first print of the game, I picked it up for that since it will probably be a collectible in a few years (even if it's not that great). I've also read, as has been mentioned in previous comments here, that the Wii version controls much better. I haven't played either yet - Fallout is still consuming my life - but I'll eventually play both to compare. It's a steep price for what seems like a mediocre game, but it's cool to have a new Wii title in 2015, so I picked up a copy. Looks Decent prob will pick up if it gets a price drop.